When a couple is newly engaged and planning their big day, putting together a registry is often one of the most fun parts for both bride and groom. It’s something they look forward to and can have fun with, but it is also something that can be quite overwhelming! I wanted to give some pointers on what to think about while you are registering for items for your new home together. 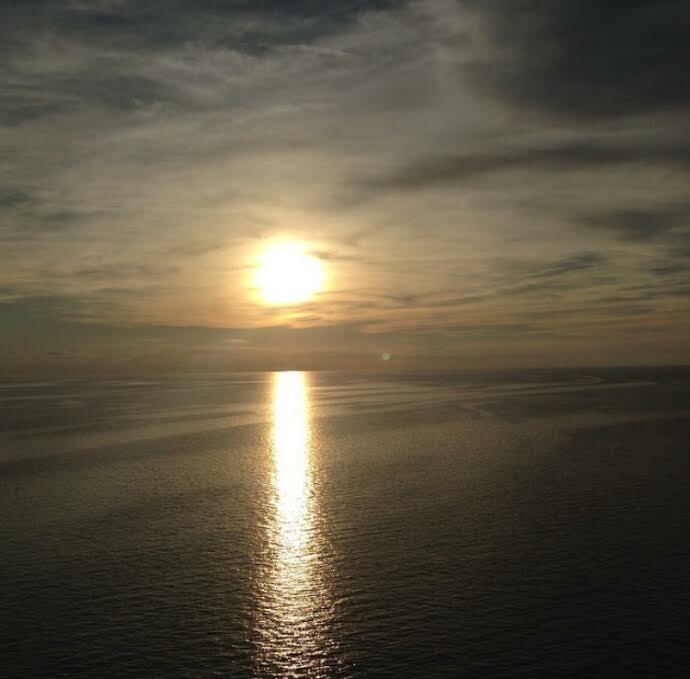 Sunset on the Mediterranean during our honeymoon. 1. First, there are fabulous websites that allow you to register for your honeymoon, register for some upcoming financial goals like your first house, etc., and these are great places to look. I highly recommend that everyone do a honeymoon within a few months of getting hitched. Don’t sweat the cost (but don’t go crazy if you really can’t afford it), you are likely to get some monetary gifts on your big day, although you won’t be able to count on how much, so plan to do a honeymoon fund as one of your gifts. Your honeymoon will build the memories that will last your entire marriage. Our honeymoon was amazing, and I don’t regret a single thing we did or didn’t do and we frequently talk about our time on our honeymoon like it was a dream. Check out Wanderable and Honeyfund. 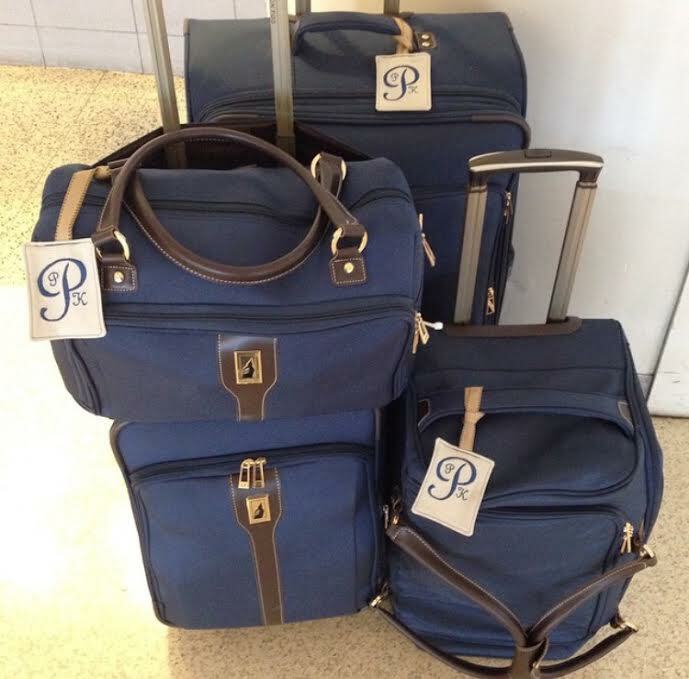 And if you love to travel in general, don’t forget to register for new luggage! 2. Consider large gifts for your friends and family to be able to get you. Often times at showers a group of friends will go in together on one larger gift as opposed to each purchasing a few small pieces. A lot of companies also offer completion discounts for the items you didn’t receive from your registries, so after your big day, you may be able to splurge for that new sofa or those nightstands you’ve been dreaming of for less. But if they aren’t on your registry you won’t be able to apply the discount. 3. Consider all the little things. It takes a lot to make a fully functioning home and all the little pieces really add up. You will use those measuring scoops and cooking-and-serving utensils more than you think, so register for a few more pieces than you need. The worst-case scenario is that once you actually are gifted these pieces you may realize you don’t like to use a bagel stand to slice bagels in so you return it for credit and put it towards that bigger purchase that nobody was able to splurge on for you. 4. Look at the open-stock items for your dinnerware and flatware. A lot of times the sets come with pieces you won’t ever use, so why have them taking up space in your cabinet or coming out of what people can afford to buy you? Instead look towards the open-stock pieces in which you can mix and match pieces to create a place setting you really love and that you can actually entertain with. Once you’ve created your place-setting, ask for one or two place settings more than you think you will ever need (i.e., if you plan to host 8, order 9; if you plan to host 12 order 13), because let’s face it, dishes break. See more on the dinnerware we registered for here, also pictured above. 5. Have fun! This should be something that you and your future spouse can really enjoy. Part of planning your registry is planning what kind of life you want to live together and figuring out the essentials to get you started. If you are shopping someone’s registry, remember these things too! Plan your purchases based on first what you can afford, decide if you want to go in on something with a group to get a larger item or if you would rather pull a few smaller items together. In general, I like to get things that remind me of my friendship with that couple. If it is friends you always do game night with, get something on their registry that would help them host their own game night, maybe a chips and dips bowl; if they are friends you often grab drinks with, get them a cocktail shaker or some of their barware; if they are friends that you love to cook with, get them a few of their essential skillets. Remember that these are likely all things that when they use them in the future, they will stop and think of you and how thoughtful it was for you to get them something that corresponds to your friendship together. It makes it a little bit more meaningful which makes the gift that much sweeter!